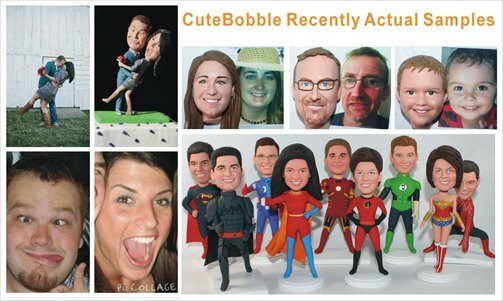 *Custom bobbleheads dolls look like you made from photos provided. *Use finest polymer clay only, ensuring nature color and best detials. *Free proofs until you are 100% satisfied with the bobbleheads. *DHL Worldwide shipping, get within 2 weeks, rush order needs only 5 days! Real Bobbleheads Dolls- No any hidden cost, never charge extra!